The program visualizes the scan result as an image of your hard drive. 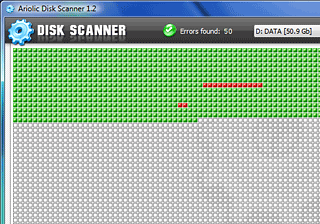 The raw sector read check allows the program to mark the bad clusters found. This way the status of the hard drive is easily recognizable. You also get reports of files with errors.